Iceland secures an automatic berth by defeating Kosovo 2-0 in Reykjavik to win Group I and kick-start celebrations in the island nation of about 330,000 people. Iceland's players and coaching staff celebrate after their World Cup qualifier against Kosovo in Reykjavik, Iceland, on October 9, 2017. Iceland qualified for the 2018 World Cup as the smallest country ever after its 2-0 victory. The Icelandic thunderclap is making its way to Russia. Iceland added to its incredible European Championship campaign by becoming the smallest nation ever to qualify for the World Cup on Monday. That means the Viking chant popularized by Iceland fans at Euro 2016 will be heard across Russia next year. 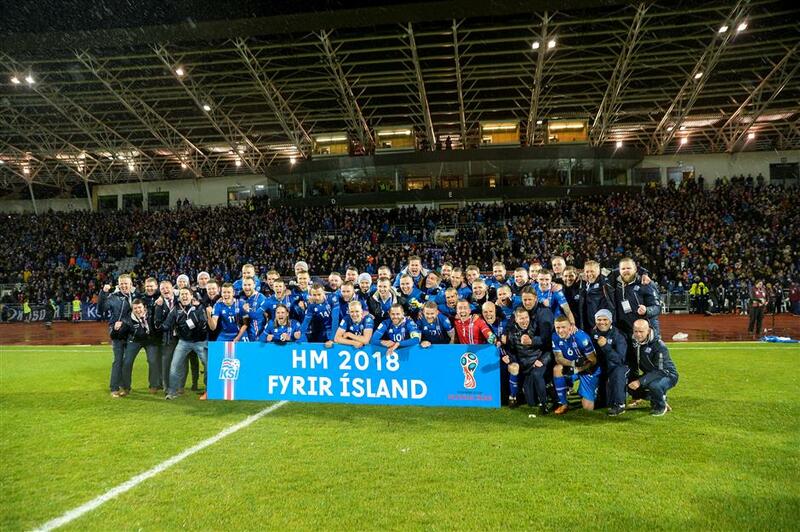 Iceland secured an automatic berth by defeating Kosovo 2-0 in Reykjavik to win Group I and kick-start celebrations in the island nation of about 330,000 people. Fireworks were set off after the match at a packed Laugardalsvollur Stadium, and captain Aron Gunnarssonled immediately led the crowd in the traditional chant in which players and fans yell and clap their hands at a rhythmic crescendo that is likened to a Viking war chant. The chant was a success when Iceland made its major tournament debut at the Euros in France last year, when it stunned by reaching the quarterfinals after drawing with Cristiano Ronaldo's Portugal in the group stage and eliminating England in the last 16. Serbia also qualified for the World Cup for the second time since becoming an independent nation in 2006. Ireland secured a playoff spot from Group D, while Gareth Bale's Wales was eliminated only 15 months after reaching the semifinals at Euro 2016. Spain and Italy won their last qualifying games in Group G, which had already been won by the Spaniards. Italy was already assured of a playoff spot. Serbia qualified for the World Cup for the first time since 2010 by beating Georgia 1-0 in Belgrade with a goal by Aleksandar Prijovic's in the 74th minute. The result left Wales and Ireland to decide their fate in the Celtic showdown in Cardiff, and the Irish got the victory and a playoff berth after James McClean's 57th-minute goal following a defensive mix-up by the Welsh. "That last half hour seemed an eternity," Ireland manager Martin O'Neill said. "We had to withstand pressure but we knew at some stage we would have to try to win the game and we did it." Bale couldn't play for Wales because of injury. Serbia finished with two more points than Ireland, and four more than Wales. The Irish will try to qualify for the World Cup for a fourth time — and first since 2002. They will not be seeded in the playoffs draw which will take place on Tuesday. 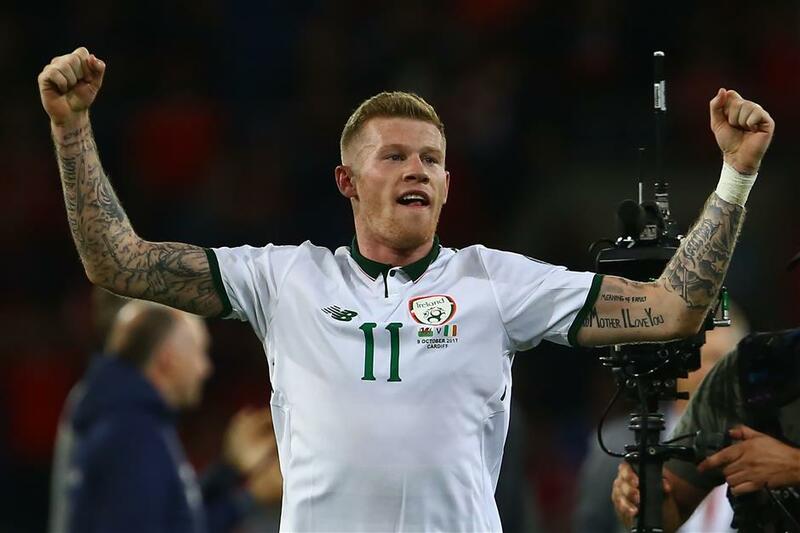 Republic of Ireland midfielder James McClean celebrates victory after the World Cup qualifier against Wales at Cardiff City Stadium in Cardiff, Wales, on October 10, 2017. Ireland won 1-0 on McClean's goal. Spain ended its qualifying campaign by beating Israel 1-0 in Jerusalem, while Italy scraped past Albania 1-0 in Shkoder in another poor effort which will do little to inspire confidence in coach Gian Piero Ventura and his team. 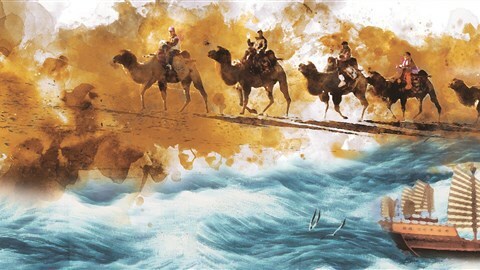 "We have some limitations at the moment but today there was the desire to try and do things," Ventura said. It finished unbeaten with nine wins and a 1-1 draw against Italy in Turin last year. The Italians ended five points behind Spain. Macedonia beat Liechtenstein 4-0 in the match between the two bottom sides in the group. Liechtenstein was outscored 1-39 in its 10 qualifiers. Iceland made history by beating last-place Kosovo with a goal by Gylfi Sigurdsson in the first half and another by Johann Gudmundsson in the second, keeping the momentum from its inspiring run at Euro 2016. The result left the Icelanders two points in front of Croatia, which beat Ukraine 2-0 in Kiev to secure the playoff spot. Ukraine ended three points behind Croatia in third place. It was the tightest group in European qualifying. Iceland entered the final round with a two-point lead over both Croatia and Ukraine. Kosovo completed its maiden qualifying campaign for a major tournament with a single point from a draw at Finland. Iceland, unbeaten in 13 competitive home games, will be the smallest nation in terms of population to play in soccer's showcase event.